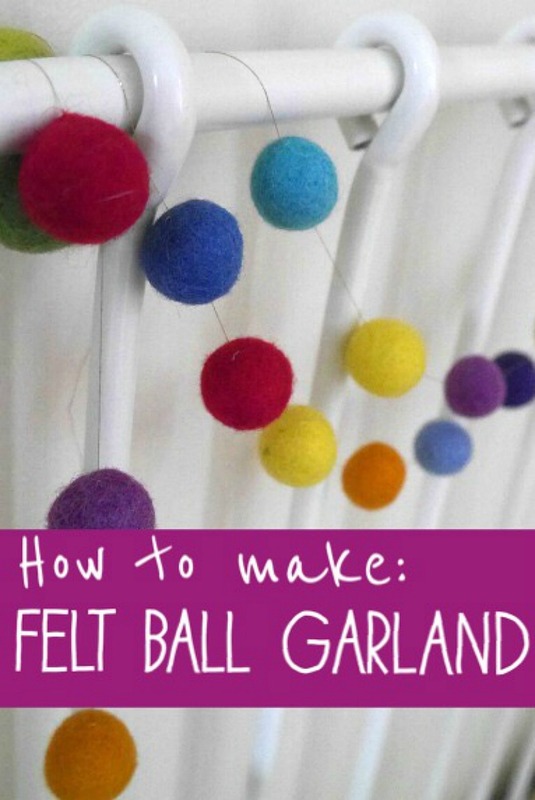 I’ve been looking at buying a felt ball garland for Eliza’s room for a while now, until it recently occurred to me that I could actually make one. 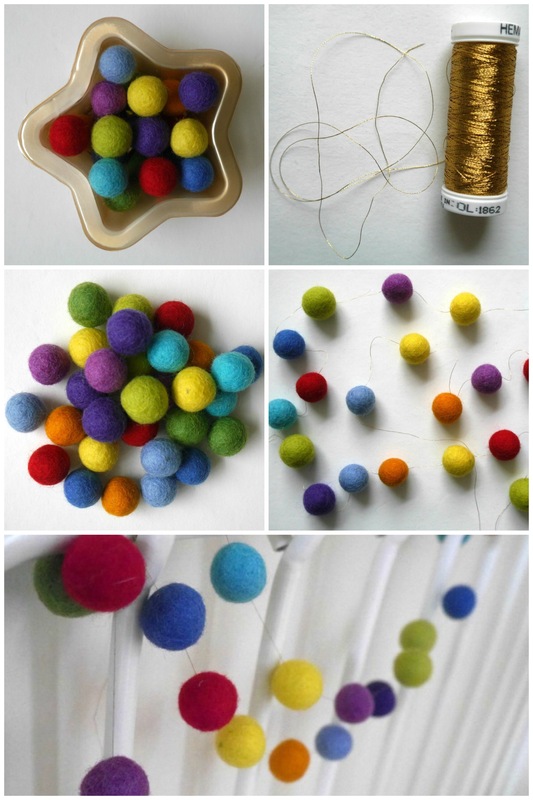 For some reason thought they’d be a lot trickier to make than they are; turns out they actually pretty simple. And there you go – it’s that easy. 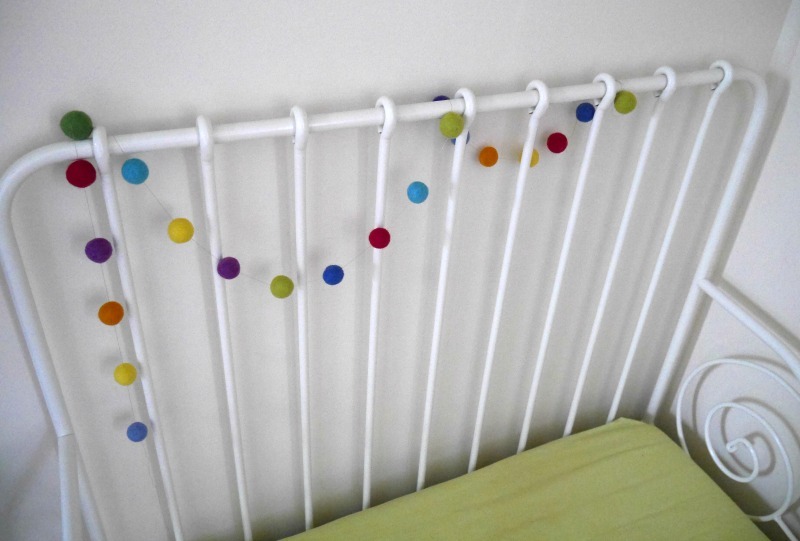 I’ve hung the garland on Eliza’s bed in these photos (she has the IKEA Minnen bed with a white metal frame) and on her IKEA hack bookcases (made out of the IKEA Bekvam spice racks). 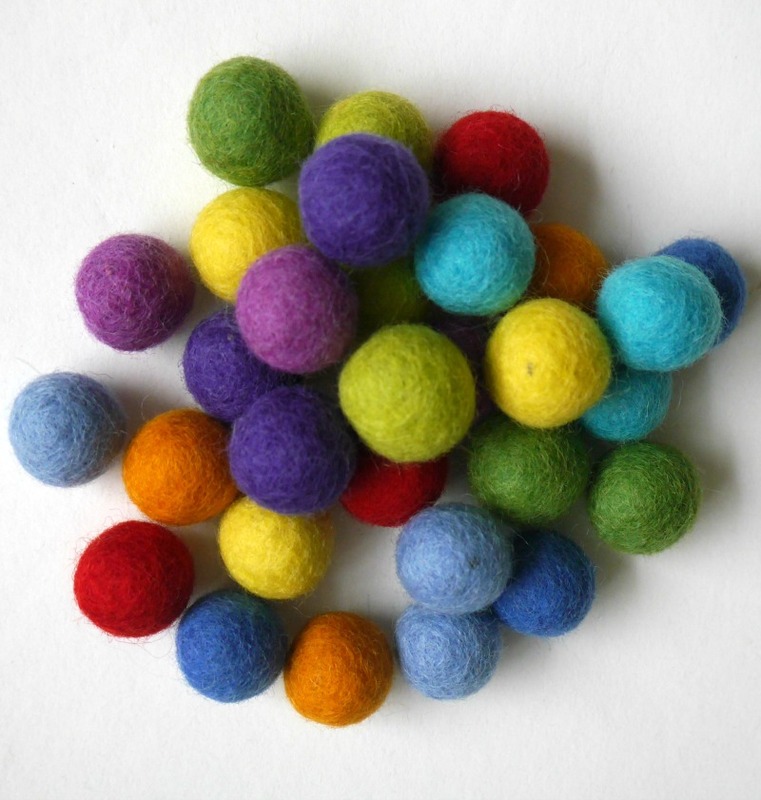 You can buy the balls in different colours, including a pastel set which would look great for Easter. 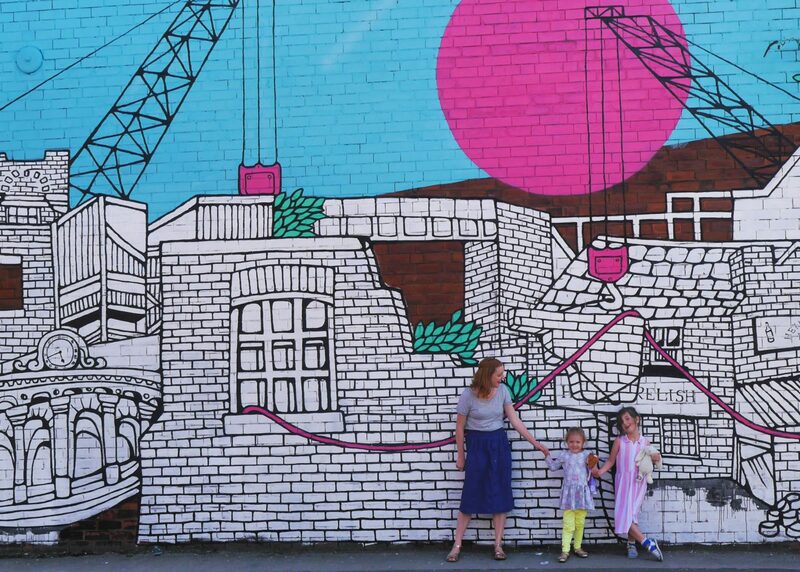 This sudden realisation / making idea was inspired by the book Handmade for Baby by Charlotte Rivers and Emily Gregory that I was recently sent to review. 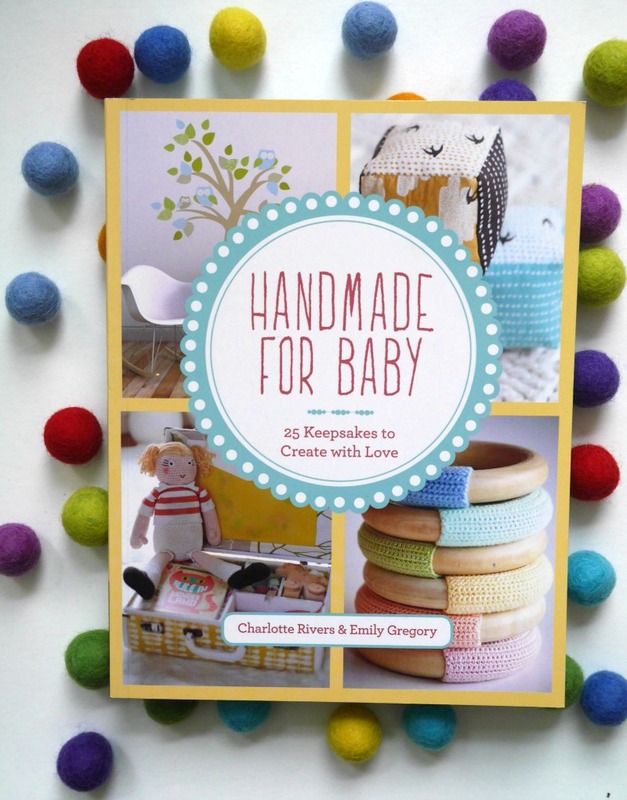 It’s a book that contains ideas and how to guides for 25 crafty keepsakes to make for babies and new parents, or to make when you’re pregnant and a new parent. 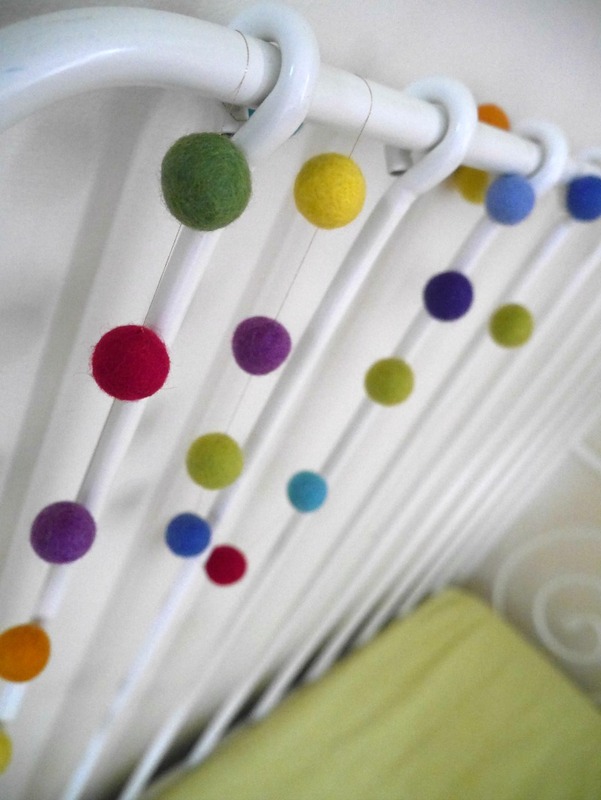 There’s everything from creative birth announcements, nursery mobiles, cushions, toys and simple clothes like baby harem pants, designed for makers of all skills and levels of craftiness. More crafty things; how to make a children’s play tent and salt dough bunny decorations. 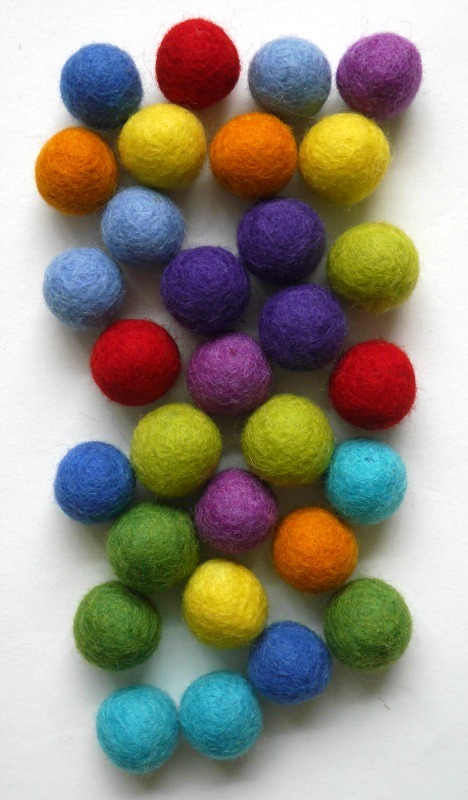 Follow me on Pinterest – I’m gill_crawshaw. That looks really good 🙂 I’m trying to think now where i could fit a black & white one in! So pretty! 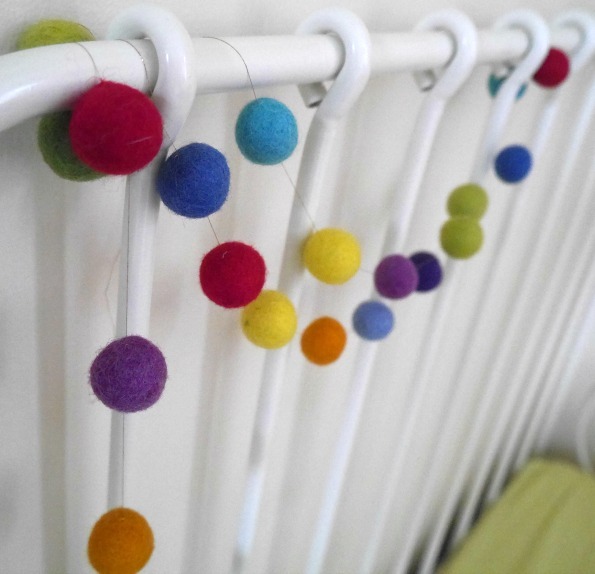 I do love rainbow colours – kind of wish I had a small child to make one for. Perhaps one for me?? That looks so good, love the colours! 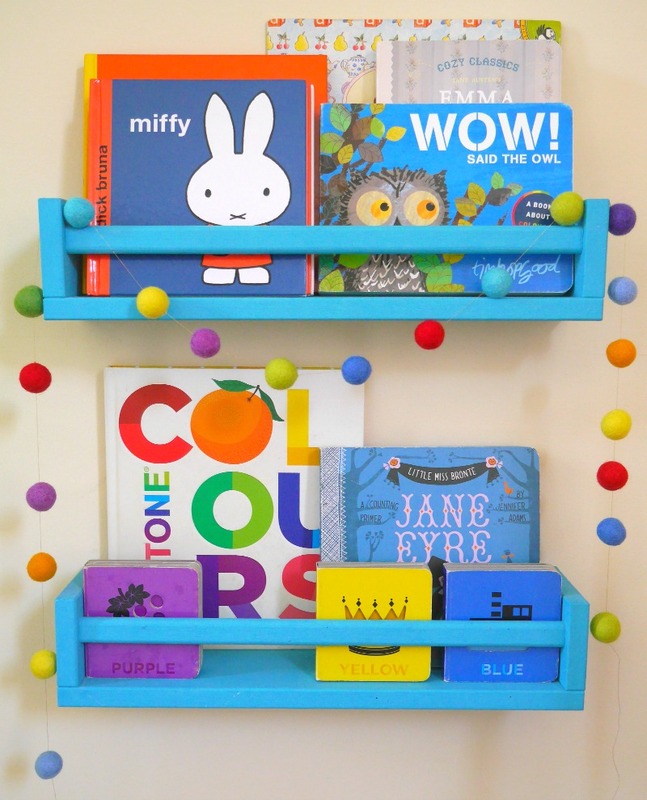 This is gorgeous, Gill! I’d definitely make one of these. Much better to make these things than buy them. Ooo, I love this, you clever thing. So nice and colourful. this looks amazing, I had no idea it was this easy! Such a good idea for adding little bits of colours for the room!